The pair last fought in an historical bout in Brooklyn in 2016. Later dubbed the female fight of the year, it was also the first bout contested by female boxers broadcast by Premier Boxing Champions. Coincidently, their fight was on the same day Claressa Shields won her second Olympic Gold medal, something not lost on either fighter as they continue to push for legitimacy in the sport. Vincent knows this is the fight of her life, and if there is such a thing as a sisterhood of the ring Vincent and Hardy have much to share, as survivors, as activists in the sport, and as individuals who have figured out the best way forward is to come at life on their own terms as fighters. Heather “The Heat” Hardy (13-0) fights Renata Domsodi (12-6) on 8/1 at the Barclay’s Center on PBC’s Daniel Santos v. Paulie Malignaggi card. 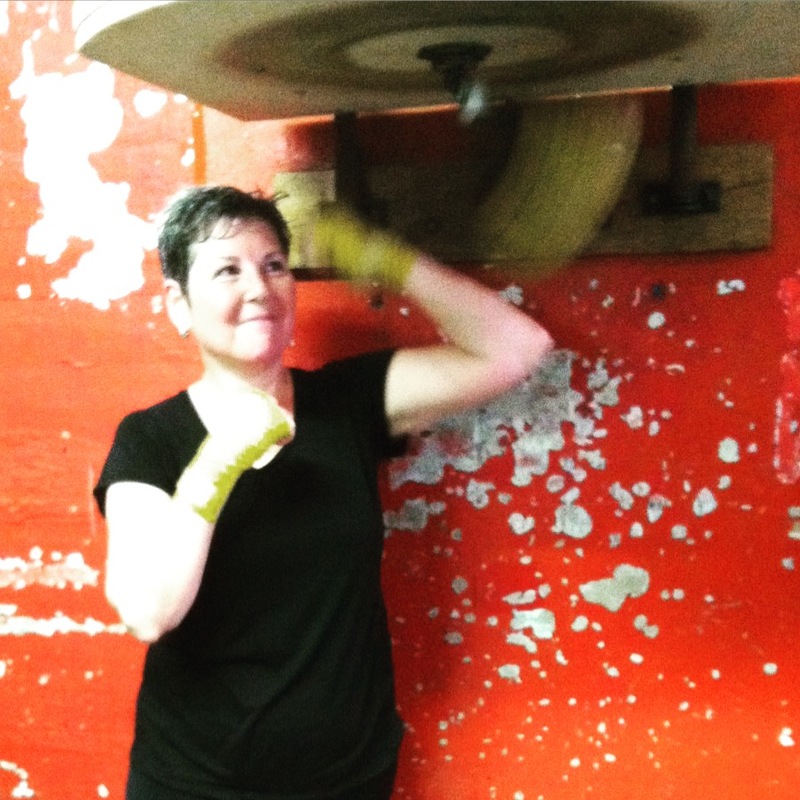 My day job has me pretty busy these days, but it hasn’t stopped me from coming to the gym upwards of three days a week—working as hard as a 60+ girlboxer can to learn to slip my trainer’s straight rights and hooks and gain more savvy in the ring. It’s the “seeing more” that got me thinking and the idea that stepping back while in the pocket of engagement, gives anyone of us the opportunity to place ourselves in the grander scheme of things. So too with women’s boxing. If we step back for a moment, we can see enormous shifts. 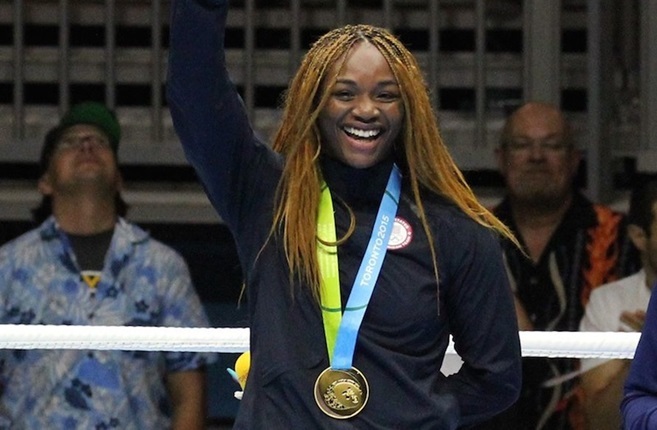 The amateur game has never been better in the United States and globally, with young girls entering the sport as young as seven and eight, and contesting it with remarkable prowess right on through the Elite women, such as 2012 Gold Medalist Claressa Shields, who on the heals of her stunning performances at the 2015 Pan American Games, where she won gold, will contest the sport with vigor alongside her brilliant boxing sisters in the 2016 Rio Games. On the professional side, the view form the United States may seem bleak, but the excitement of the sport in places such as Argentina where Canada’s Jelena Mrdjenovich (35-9-1) is putting her WBC world female featherweight title on the line against the other Matthysee, Edith Soledad Matthysse (13-7-1) as the main event on top flight card in Buenos Aires, gives hope of opportunities to come. There’s also a main event bout in Brandenberg, Germany tonight between SuperFeatherweights Ramona Kuehne (22-1) and Doris Koehler (12-13-2), a WIBA World Minimum Weight title fight in South Korea between titleholder Ji Hyun Park (21-2) and Gretchen Abaniel (15-7), and a main event ten-rounder between Esmeralda Moreno (30-701) and Jessica Nery Plata (15-0) in Michoacán de Ocampo, Mexico. In the United States Heather “The Heat” Hardy (13-0) will be facing Renata Domsodi (12-6) in an eight rounder on the Danny Garcia v. Paulie Malignaggi card to be fought at Brooklyn’s premiere boxing venue, Barclay’s Center. This will be Hardy’s third appearance on a major card at Barclay’s and while once again, her fight will not be broadcast, she is creating momentum in the sport and along with the able work of her promoter Lou DiBella, is on the precipice of being televised rather sooner than later. Most recently in late May, world champion Amanda “The Real Deal” Serrano (24-1-1) appeared on CBS Sports in a six-rounder against Fautima Zarika Kangethe (24-11-2), the first female bout to appear on the network since the late 1970s. That is pretty heady stuff, and despite the sense that the sport continues to decline in the US, I’m feeling rather more optimistic. The fact that Elite amateur boxing star and Olympic gold medal winner Katie Taylor will appear on boxer Andy Lee’s fight card on September 19th is also a step forward—especially since Andy has been such a vocal supporter of the sport and of Taylor’s importance to female athletics not only in their native Ireland, but around the world. He’s also a very visible fighter in the US and his recent statements in support of Taylor and women in the sport against his upcoming oppenent Billy Joe Saunders’ rather sexist remarks have gotten a lot of play here. 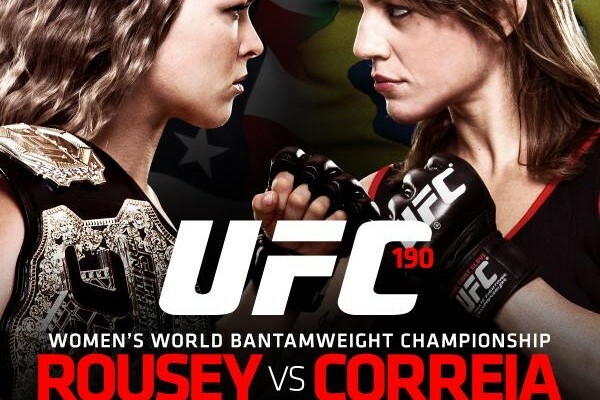 In the United States, the phenomenal success and incredible skill of Ronda Rousey (who fights on the UFC 190 PPV main event tonight) have firmly placed women’s MMA in the spotlight. Boxing stars such as Holly Holm are finding success crossing over into the the sport and in doing so are putting female boxers in the spotlight. While I have my theories as to why women’s boxing died on the vine vis-à-vis the media in the middle oughts (a piece for another day), women never stopped entering the ring—which has meant the sport has continued to improve by leaps and bounds. 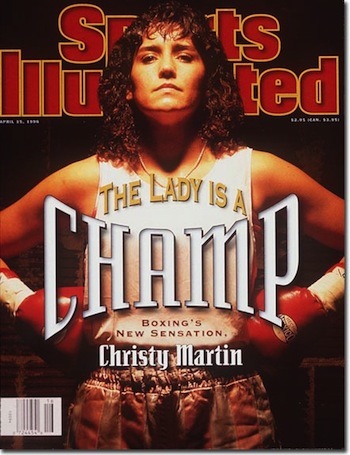 The women of the ring circa 2015, are faster, stronger, better trained and perhaps even more motivated than their sisters who fought 19 years ago when Christy Martin graced the cover of Sports Illustrated. Is there a lot wrong with the sport? Inequity, lousy pay (if any), and a PROFOUND lack of respect. 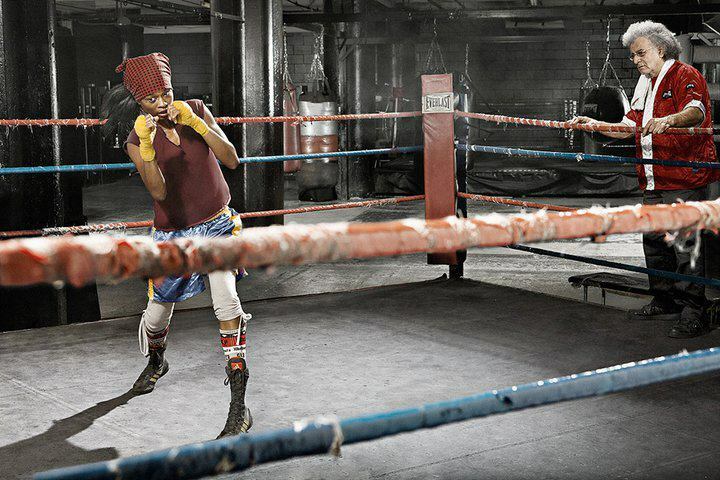 Still, women box, and continue to claim their rightful place in the ring! Keisher “Fire” Mcleod-Wells set to fight on March 7th @ Broadway Boxing! Fire Mcleod-Wells takes it after six exciting and competitive rounds! She handed Patricia Alcivar her first loss by split decision: two judges scored the fight for Fire 57-55, and the third judge scored it the same way for Alcivar. Both fighters were treated to a standing ovation!!! 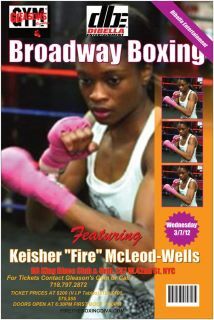 Gleason’s own Keisher “Fire” McLeod-Wells (4-2, 1-KO) will be returning to the ring on March 7, 2012 against Patricia “Patty Boom Boom” Alcivar (5-0, 3-KOs) in a six-round bout on the Broadway Boxing Card. Promoted by DiBella Entertainment, this well-matched super featherweight bout will showcase the talents of two accomplished boxers both of whom are familar to the New York boxing scene. 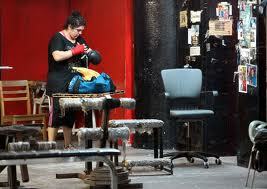 The bout will take place at the BB King Blues Club and Grill, located at 237 W. 42nd St., New York City. Tickets can be purchased at Gleason’s Gym. The telephone number is (718) 797-2872. Ticket prices are: $125(Ringside Seating), $100 (Seating), $75(Seating), and $55(General Standing). All ticket sales benefit Fire. Please buy your tickets from Gleason’s Gym and show your support for one of the rising stars in Women’s Boxing. Reminder! Great Women’s Boxing tonight, 8/20/11! 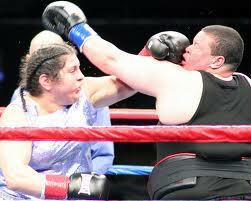 There is some terrific women’s boxing going on tonight! 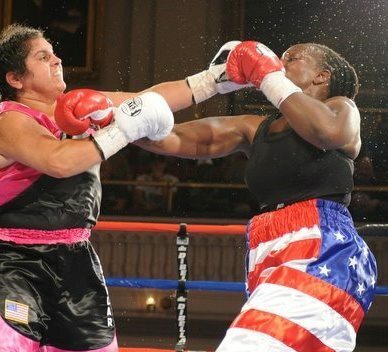 Over on the East Coast, Gleason’s own scholar, the ever-popular female heavyweight Sonya Lamonakis (5-0, 1-KO) will be fighting a tough rematch against Tiffany Woodard (4-4-1, 3-KO’s) at Mechanics Hall in Worcester, Massachusetts on the Broadway Boxing card. To quote Sonya, “it’s going to be war”, and nothing new for a Lamonakis fight night! 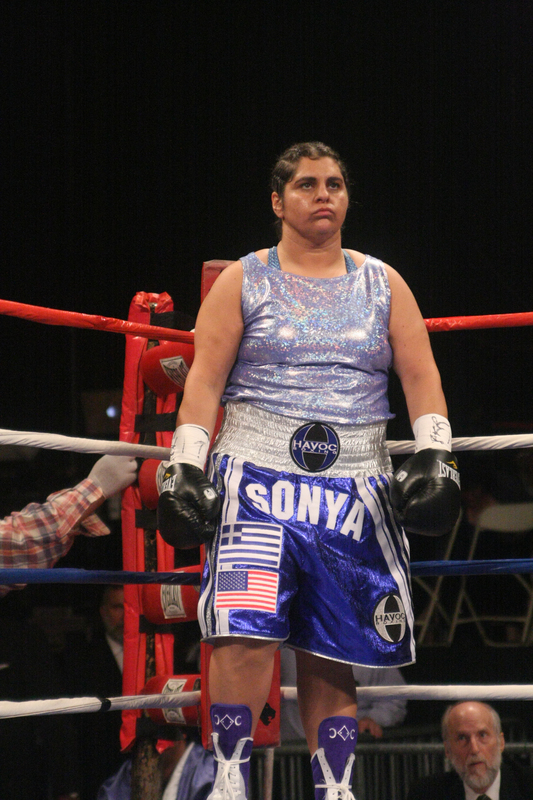 Women’s Boxing: Sonya Lamonakis to fight on 8/20! In her usual crowd pleasing fashion Sonya Lamonakis made it an even 6-0 with her win over Tiffany Woodard. Capturing a majority decision, the judges scored the bout 59-55, 58-56, 57-57 with Woodard the clear aggressor in the early rounds of their six-round bout. Gleason’s own and Harlem Academy’s favorite middle school teacher, Sonya “The Scholar” Lamonakis (5-0, 1-KO) will be looking to make her record a perfect 6-0 when she takes on Tiffany Woodard (4-4-1, 3-KO’s) at Mechanics Hall in Worcester, Massachusetts on August 20th. The fight is part of DiBella Entertainment’s popular “Broadway Boxing” series and will feature Edwin Rodriguez (18-0, 13-KO’s) in the Main Event. Returning to the scene of her first professional victory on June 24, 2010 against Kasondra Hardnette, Massachusetts native (and Greek born) Lamonakis, is itching for a heavyweight title bout. 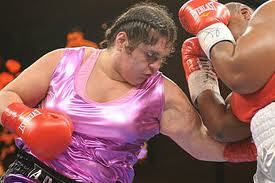 She is currently ranked 2nd in the U.S. heavyweight rankings and 4th in the world. The fight at Mechanics Hall marks Sonya’s return to the ring after handily defeating Gigi Jackson (2-2) at Foxwoods Resort on April 16th. 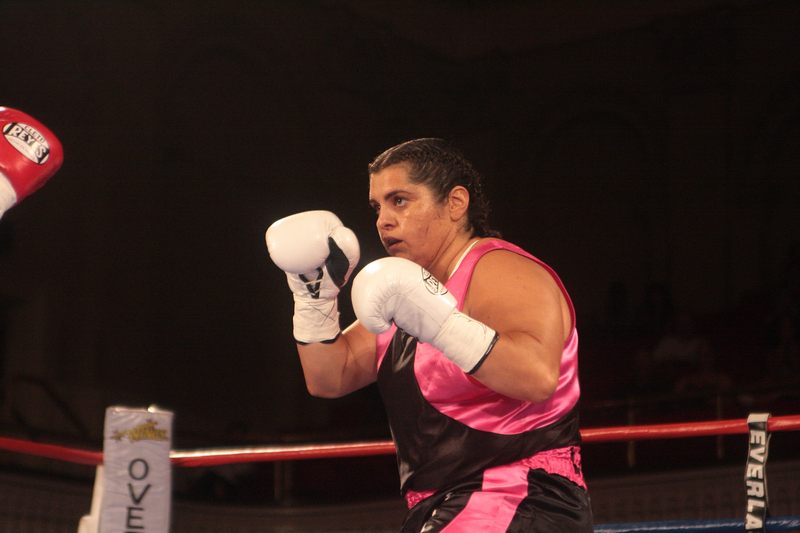 Lamonakis had hoped her decisive win would put her in line for a title shot against then heavyweight WIBA title holder and Global Boxing Union title holder, Gwendolyn O’Neil, however, a fight was not in the offing and O’Neil has since seen her titles stripped for failure to compete. The hope is that DiBella Entertainment’s Lou DiBella will be successful in putting together an all-female card at Madison Square Garden featuring Sonya Lamonakis in a main event heavyweight title championship fight. Meanwhile, Sonya has been hard at work. She trains with Lennox Blackmore and Don Saxby and is perfecting her tough, no-nonsense style of boxing that has taken her to the heights of the amateur world and five straight professional victories. Tickets for the bout are available directly from Sonya Lamonakis on Facebook click here. Just message her for tickets. Seats are $55.00 and $75.00. You can also contact Sharon Lamonakis (Sonya’s Mom!) at 413-863-3052.